Social media is a wonderful tool, and in my experience it’s more about the build-up to an event / product launch than the actual day itself. I’ve found that about a month is a good time to start advertising, with more frequent posts in the week leading up to the big day. Below are some things that you can share on social media leading up to an event (warning: link-heavy). 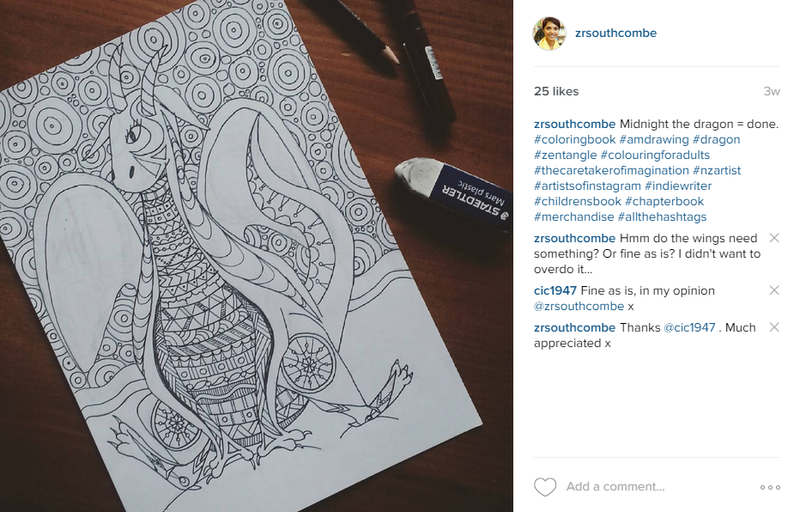 If I’m working on an illustrated book, I post daily updates on Instagram, Facebook (and sometimes Twitter) with photos of my drawings as I progress. This helped me with both What Stars Are Made Of and The Caretaker’s Colouring Book to build interest and to get pre-orders. For text-only books, Facebook and Twitter are the best social platforms for updating word counts and editing progress. Are there other people who you can promote alongside you? For the book festival, I’m posting an author a day over on my Facebook page. For the book launch of Lucy’s Story, I also shared Jennie Cruse and James Stonley, who participated in my launch party, and my illustrator, Jane Thorne. Social karma works! A weekly countdown to an event is a fun reminder for people that your event is coming up. A weekly basis is not too obtrusive (I think – let me know if you disagree). I make little graphics using PicMonkey (free, web-based software). They are easily sharable, and if it’s an event that there are lots of other people at, it’s something they can use as well. 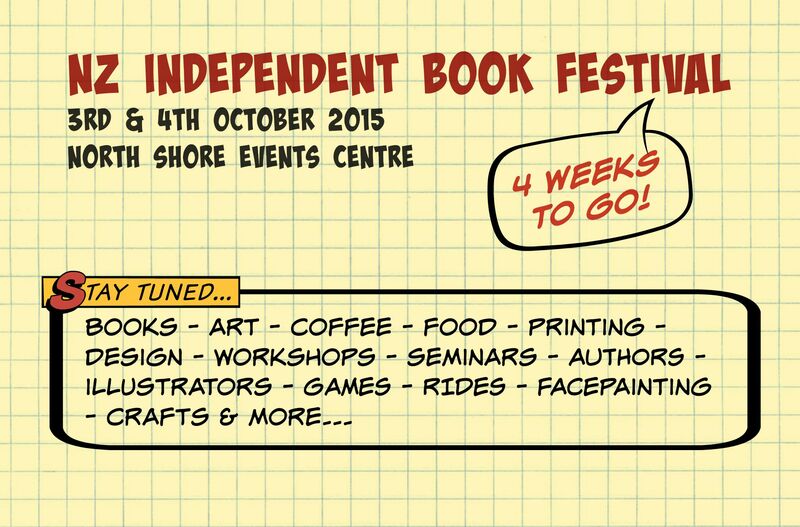 Week four countdown to the NZ Independent Book Festival, 2015. See more on my Facebook Page. Festivals and events need display stuff, merchandise & giveaways, and lots of other preparation. You can share your shopping, your display items, merchandise that you’ll take with you and even just text-only updates about what you’re doing to prepare for your event. You can also ask for advice prior to the event – do people prefer Display A or Display B? Yellow or blue? Recently I asked about whether people would be put off purchasing if I didn’t have EFTPOS available, which led me to research more heavily into my mobile EFTPOS options. This article is part of my Book Events Series, leading up to the NZ Independent Book Festival.